Walking in the East Village on St. Marks street, it is inevitable to feel like you have been transported to another world made up of grilled chicken sticks, pomegranate-flavored yogurt covered with fruit, and falafel sandwiches. The restaurants, clothing stores, and tattoo parlors are stacked on top of each other with little room to expand and grow. NYU, Cooper Union, Parsons kids roam this area because the street is inundated with cheap eats and drinks. This street is constantly changing as one old dated restaurant closes and another new trendy restaurant opens. A fairly recent addition to St. Marks is Boka, a restaurant that serves Korean fried chicken (Bon Chon). 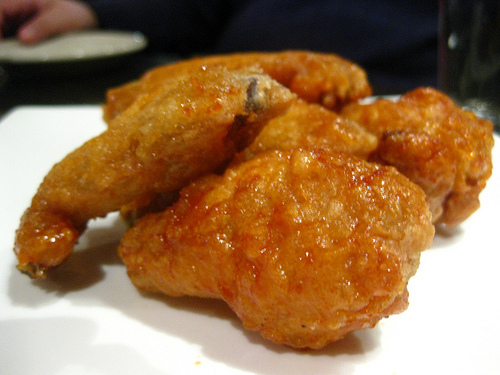 The Korean fried chicken trend has caught onto American soil; it has been featured in the New York Times, and numerous Korean fried chicken restaurants have been popping up left and right. The last time I had bon chon was about three years ago, so that means it is time to refresh my memory of what it tastes like. These are their spicy wings. The outside is crispy and the inside is not fatty at all. Even though they are not that spicy, they are good enough so you can taste the little kick of heat in your tongue. As I would put it, they are “finger-lickin’ good”. I want to order more, but I decide to be more health conscious and order myself kimchi chi gae. 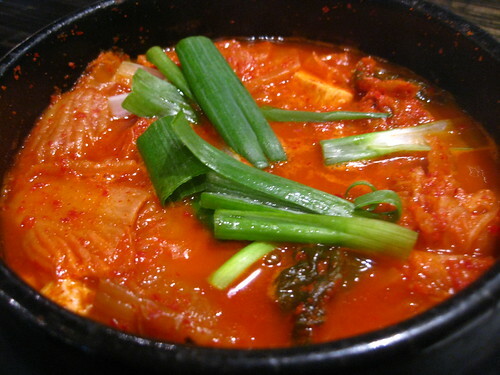 Kimchi chi gae is one of the best things to eat on a snowy day – hot soup filled with kimchi, pork and vegetables. To my surprise I find that Boka’s version is the spiciest and sourest chi gae I have ever had at a Korean restaurant. I consume this dish fairly quickly, leaving me full and satisfied. Will I go back to Boka again? Probably. 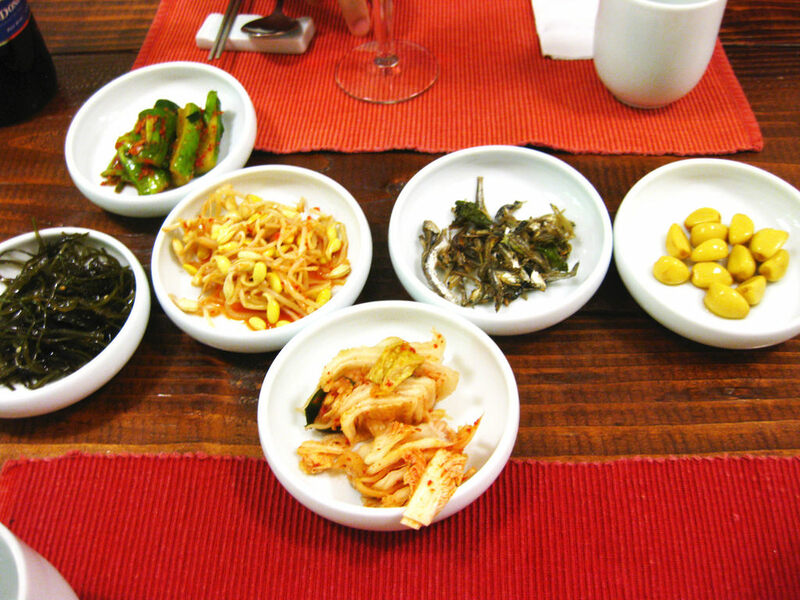 Even though they don’t give you ban chon, Korean appetizer of small dishes, like most other Korean restaurants do, I find Boka’s food to be tasty. Flavors are strong and pleasing to my mouth. Finger-lickin’ good.